Start as an apprentice, and then finish as an artist with a career already designed. 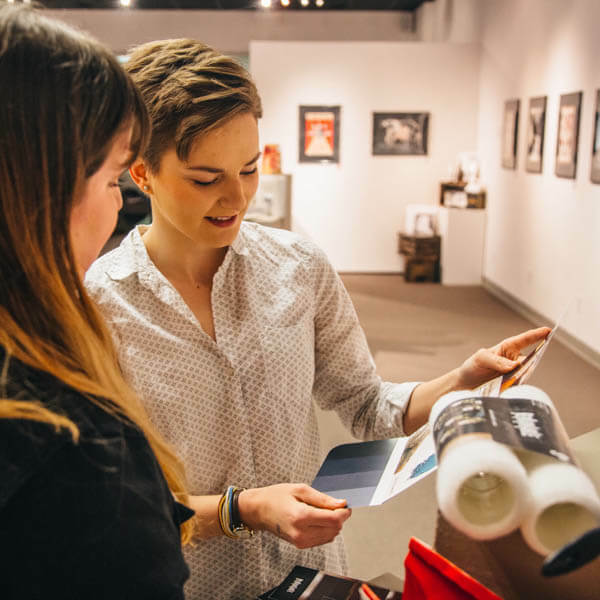 Students in Fort Hays State University’s Art and Design Department are the key inspirational ingredients of a thriving, supportive and passionate community of artists who enjoy producing their own artwork and collaborating on group projects. 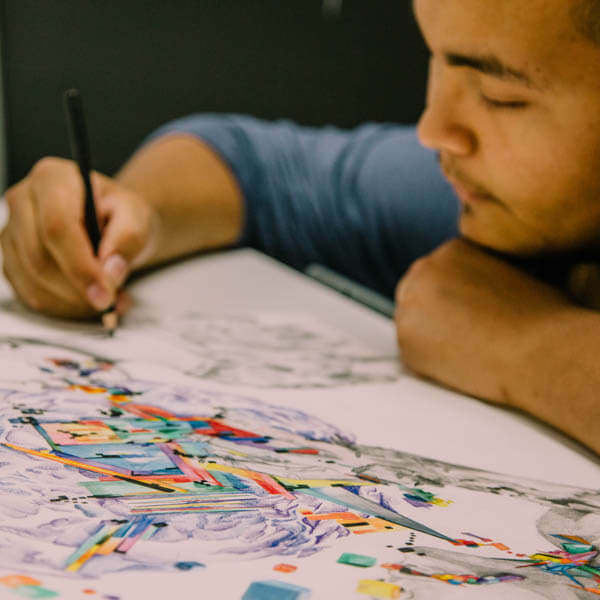 You will work closely with professors, who guide hands-on learning experiences and help you develop your talents as you gain confidence as an artist, designer or arts educator. Here at Fort Hays State, you will be challenged every day, and we will provide the resources and mentorship that prepare you for success and a rewarding career in the arts segment you desire. 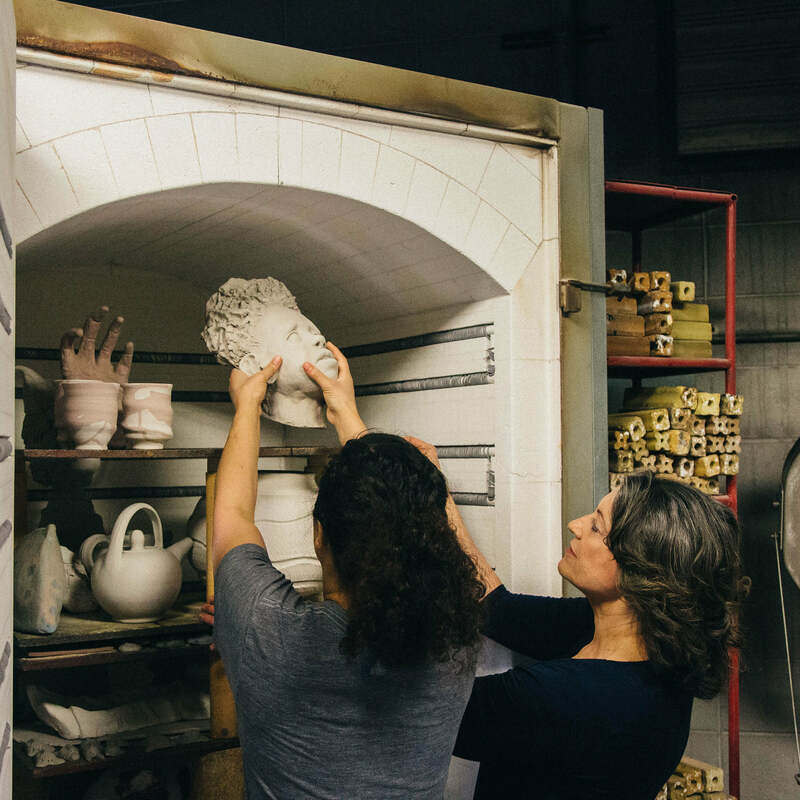 Our selection of offered bachelor’s and master’s degrees cover a wide spectrum of the market’s opportunity patterns within the art and design world. Define and refine your proficiencies in graphic design, studio art, interior design and more. Graduates from the Department of Art and Design are recruited into a variety of industries. You will join the ranks of our accomplished alumni working around the country. With an excellent academic program and a network of alumni, you will be ready to pursue your own rewarding career after completing our program.